Yes right? 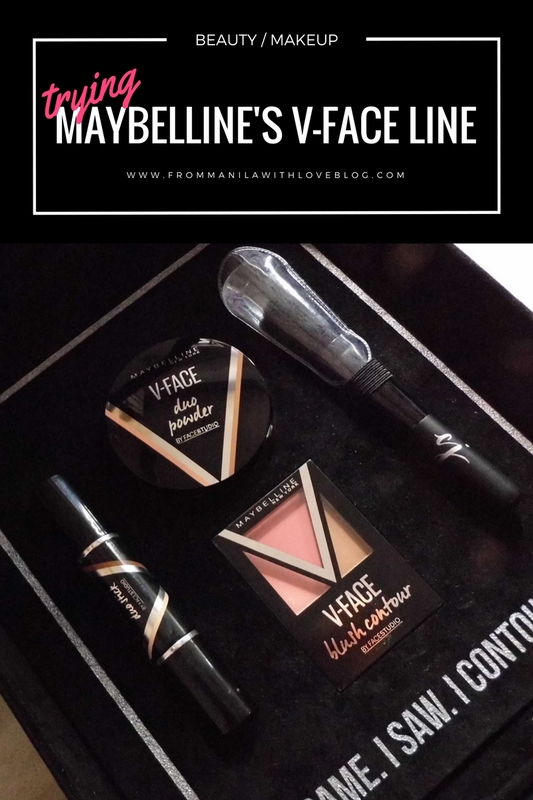 Finally, I'm reviewing the whole V-Face line of Maybelline which I showcased here. Read on for swatches and thoughts. Their line, named 'V-Face' pertains to the fashion-world-coveted v-shaped face, or in my thoughts - angular face. The term V-Face is something I associate with Korea, wherein the one of the beauty standards is having a V-Face. The line includes a dual-ended cream stick, a blush + contour trio and a highlighter + contour duo powder. Aesthetics alone aren't what makes a product sure but I'm a sucker for pretty packaging. I like the whole black color scheme with silver and brown chevron (v) accents. Let's talk about the powders. First of all, I like that they included applicators for both powder products. But as I've said here the only one usable brush is the one in the duo powder. The trio compact has a plastic-cheap-brush that I don't really care for. The duo powder's has a separate brush compartment is good, but the compact doesn't feel as sturdy as I would like. It's a thicker plastic but the lock/clasp isn't as tight. I've already dropped this a couple of times and thankfully the powder and mirror stayed intact but sadly I busted the hinge. 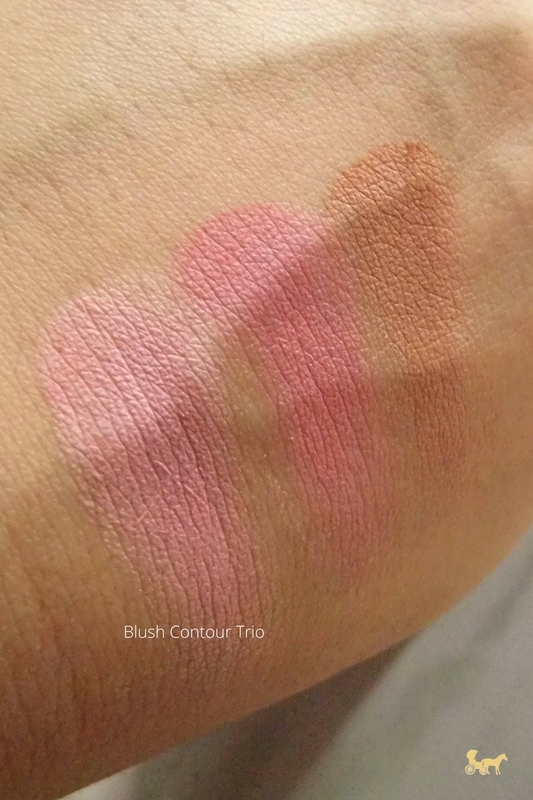 While I like the colour of this blush trio in wine, its compact design leaves a lot to be desired. Which is weird because I like compact makeup products. First of all, the useless brush could've been ditched in favor of a larger pan of powder. 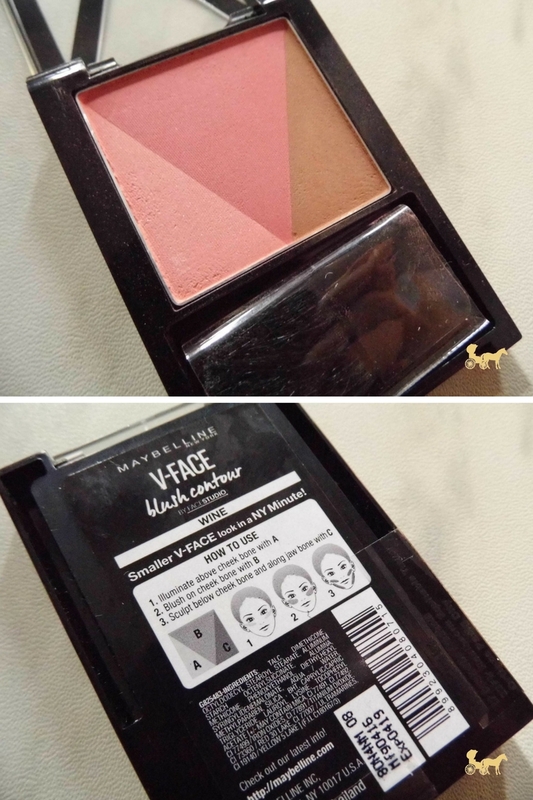 Second the powder design itself where the square is divided into 3 to accommodate the 3 colours is too small. Approximately, the pan is about 2 inches in height and about 1 inch in width. Sooo not that big if you want to just dip into the countour powder. I guess this is where that useless brush comes in handy since it's pretty small. Still, the pan being as small as it is the only choice is to use all the colours by swirling your brush across all. As for the colours itself, the lighter pink has a little shimmer on the pan but doesn't translate on the skin and the darker one is, well, wine in colour. The 'contour' is a dark and warm so it's more of a bronzer and that can be said for all their 'contouring' shades in this line. 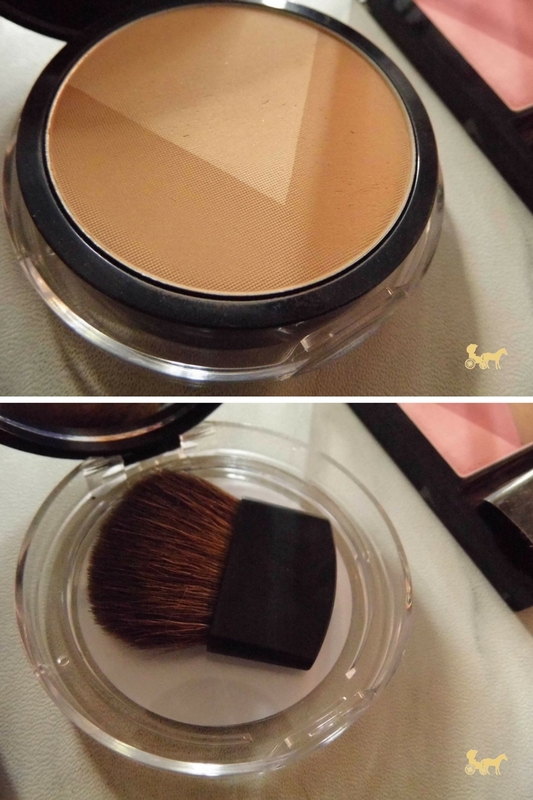 My most used bronzer to date. It's creamy. Easy to blend. 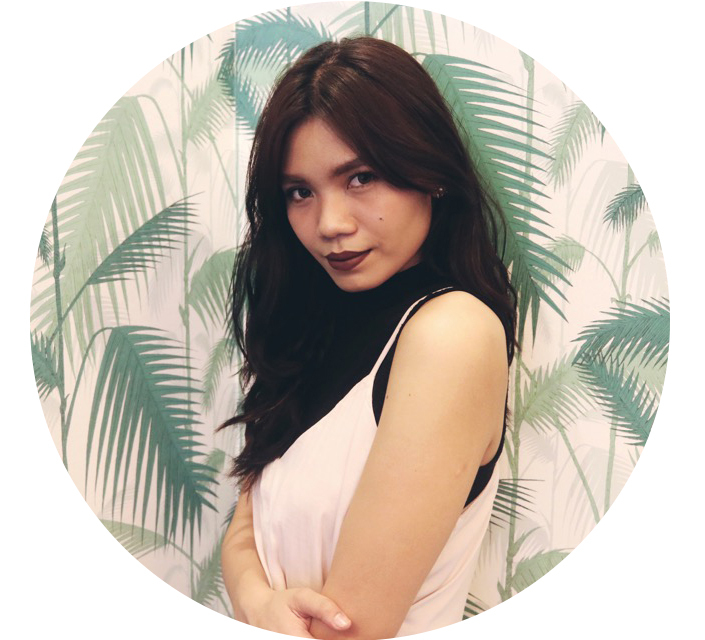 Not scarily pigmented so very beginner-friendly. The design itself, whilst not revolutionary, is a hit. There's not a tonne of product (each stick is about 1.5 inches in length but for how much I've used it and how frequently I reach for it, it's still going strong. As you can see the swatch has very strong 'red' undertones. It's VERY warm, but perfect for giving a little warmth to the skin. 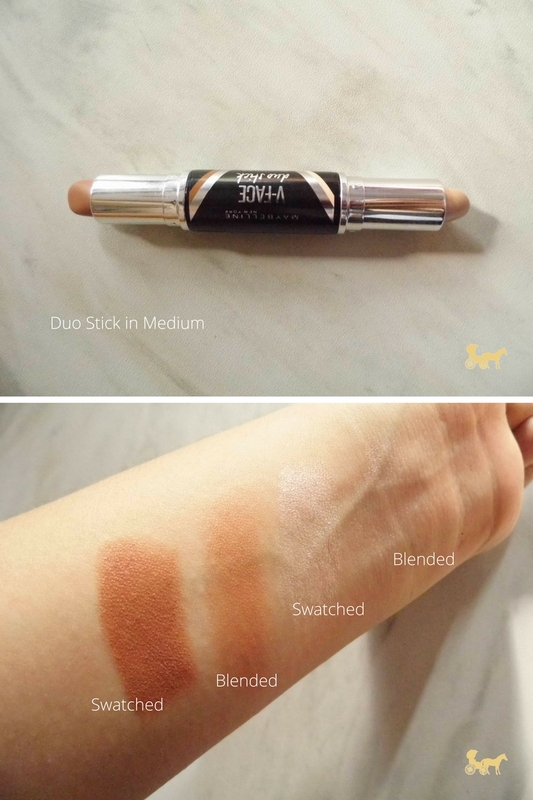 Admittedly it can get a little orange-y for me so I use this in conjunction with a grayish contour like Shawill or the Maybelline's Duo Powder (which is passable as a contour). 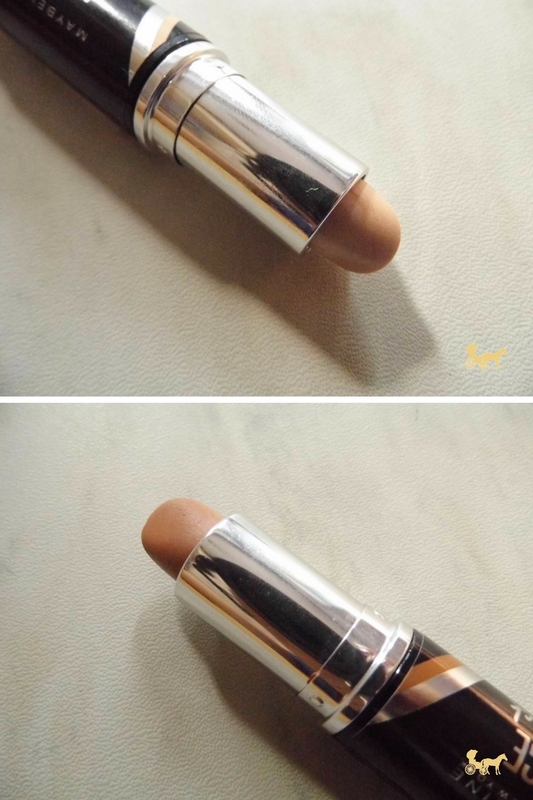 The highlighter part is a white very slightly pink shimmery cream. It's nice but not my favorite. It can get patchy when applied on top of powder though. 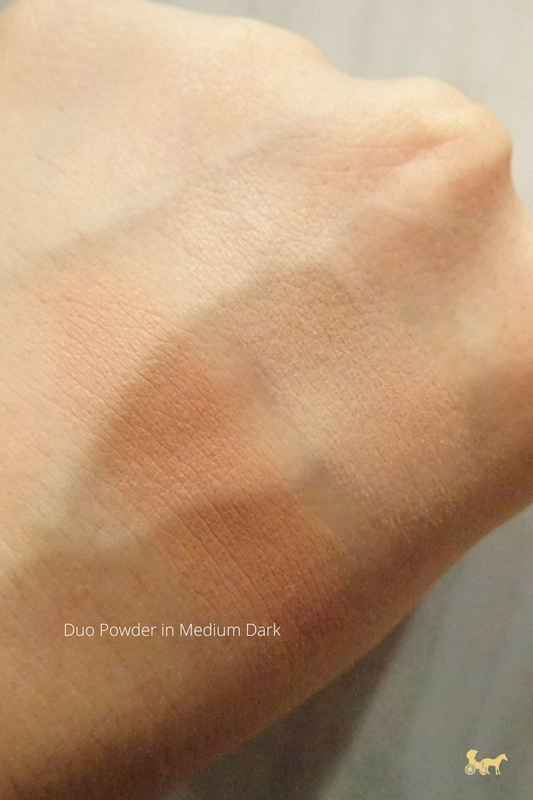 The Duo powder is warm but it still works as a good believable matte contour powder for people with NC25-30 skin tones. This one's good for a good over-all bronze and slight contour. Don't bother with the lighter shade that's supposedly for highlight. It's just like a face powder. You're better of swirling the whole thing together. I also use the brown as an eyeshadow sometimes. 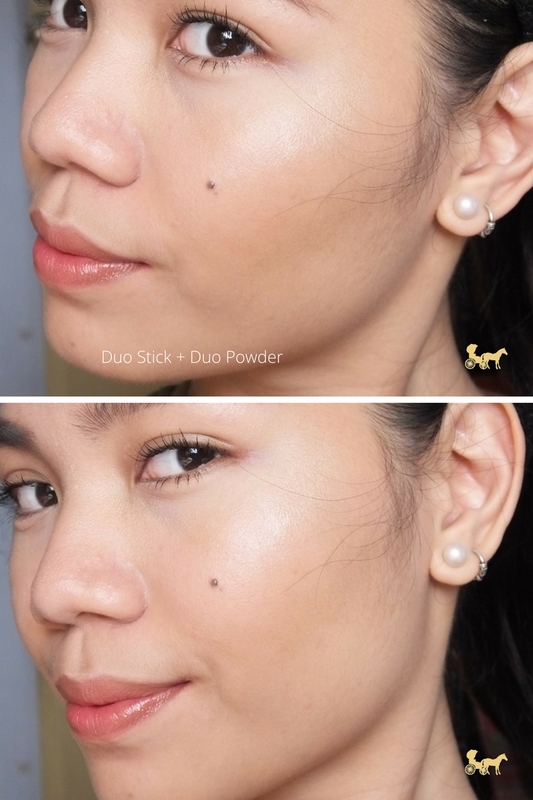 Here I am wearing the duo stick (including the highlighter side) and the duo powder. As for longevity it lasts relatively well after the 8th hour with slight fading. But keep in mind I'm not oily and I don't have oily cheeks. The highlighter faded earlier though and was basically gone by the end of the day leaving behind sparse glitter particles. I believe Maybelline is currently on sale until the 31st. 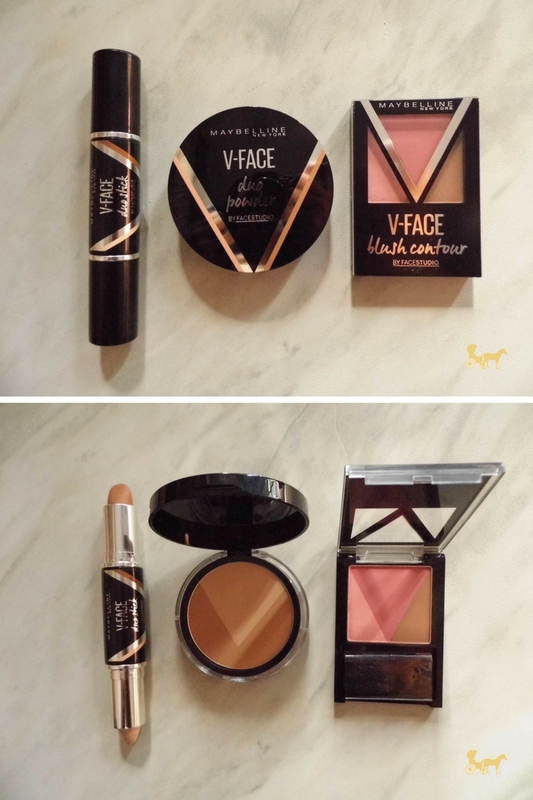 Have you tried anything from the V-Face line? What do you think about brush applicators included in the makeup (in general)? Let me know in the comments below! PS. 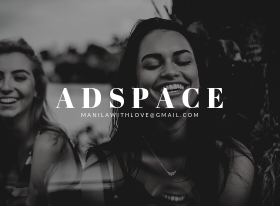 What do you think about the image layout (portrait vs. landscape)?